Obituary for John L. Ringer | Robert L. Snyder Funeral Home and Crematory Inc.
John L. Ringer, Delaware Road, Fredonia passed away unexpectedly at 1:15 pm on Friday, November 30, 2018 at the UPMC- Horizon Emergency Department of natural causes. He was 55. John was born in Grove City, on December 16, 1962 a son of William H. and Joan L. (Anderson) Ringer, Sr. On November 7, 1987 he married the former Cathy McGhee who survives. He was a graduate of the Reynolds High School Class of 1981 and the machinist class at the Mercer County Vo-Tech. 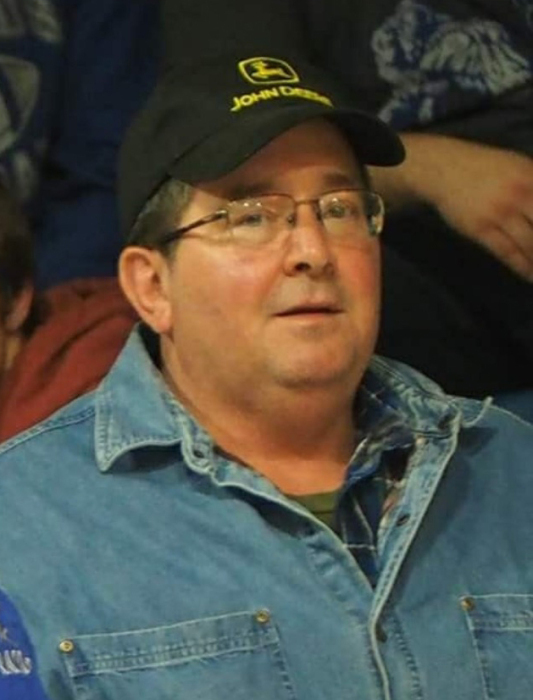 He had been a lifelong farmer on the family farm and had been a truck driver for nearly 35 years beginning his career with McGhee Trucking, then onto drive for Gadja Trucking and had been currently employed for the past 8 years for Fed Ex Freight. He was a avid supporter of Reynolds Sports and enjoyed watching his children as they actively participated in wrestling, basketball, softball and football. He enjoyed spending time on the farm with his puppies and was a member of the Harthegig Conservation Club, Mercer. He is survived by his wife of 31 years, Cathy, his mother; Joan L. Ringer, Fredonia; Two sons; William John Ringer and his girlfriend, Hannah Vadakin, Lebanon, TN, Eugene Earl Ringer, Fredonia; a daughter, Maggie Sue Ringer and her fiancé Kyle Woods, Fredonia; His siblings, William H. “Tex” Ringer and his wife Sue, Fredonia, Mary Ann Hanna and her husband Thomas, Fredonia, Lisa Ringer, Fredonia and Sheri Valimont and her husband Van, Fredonia. Many aunts and uncles; nieces and nephews and cousins.